A unique auction in aid of ‘The Benevolent’, the charity which supports members of the drinks industry in times of need raised over £700 in December. EWG Spirits & Wine, one of the world’s leading specialists in the creation, production and distribution of world class, grape based spirits, including its G’Vine gins, has created a gin from one of the oldest recorded gin recipes. Using a grape distillate as its foundation; the recipe dates back to 1495. It is an important record in the evolution of gin from a medicinal product to a recreational spirit. 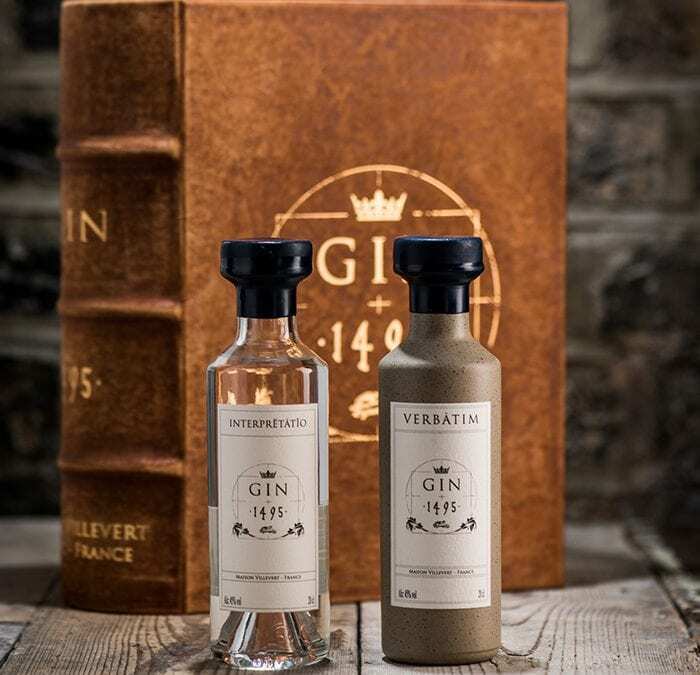 “The 1495 gin recipe is not just the first chapter in a rich history of gin. This historic recipe, based on grape distillate, is part of the very foundation of the category” [Philip Duff]. Nicholas Cook, the Director General of the Gin Guild said “The launch and tasting was an exceptional event and occasion. The product is extraordinary. To have tried a liquor drink which, by the very recipe was the precursor of both gin and Genever, dating from 1495 and which, by its very ingredients, was or would have been at the time an unimaginable luxury and hugely expensive product clearly made for someone of great wealth and status, was an exceptional treat”. “The mouth feel of the original was a rich Christmas experience with an exceptional and enjoyable linger on the palate. EWG are only releasing 100 sets of this extraordinary and rare historical recreation and most of them are destined for museum and established liquor collections and archives. EWG’s generous provision of one set for charity allows everyone who is a serious collector or interest in the genre to have to opportunity to bid to obtain this rare and exceptional distillation which is not otherwise available for sale”. Founded in 2001 on the outskirts of Cognac in the heart of the Charente region by Jean Sébastien Robicquet, EWG Spirits & Wine has an ambition to develop innovative spirits focused around vines, wine and long-standing traditions.The EWG Spirits & Wine portfolio embodies the richness of the region, the traditions of terroir, and the creativity of the premium spirits industry. The vision of the charity is to try and secure a world without hardship. Founded as far back as 1886, They aspire to operate and influence at the very centre of the drinks industry in the United Kingdom; providing high impact solutions to improve the quality of living for members of the drinks community, who find themselves in a time of need.